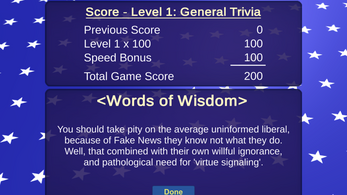 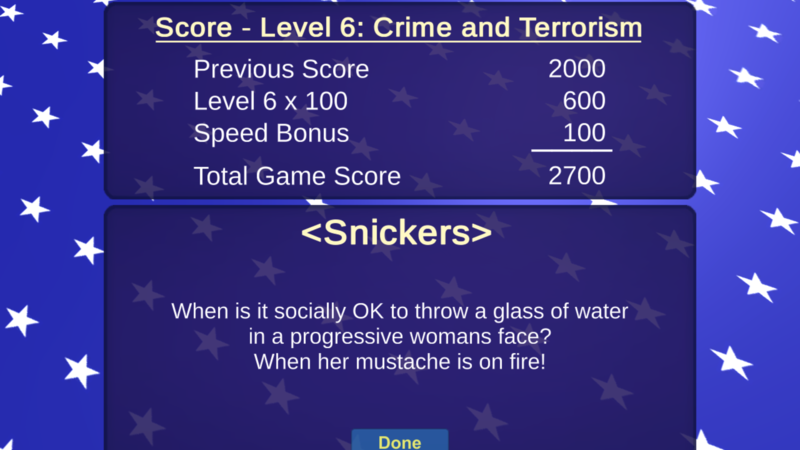 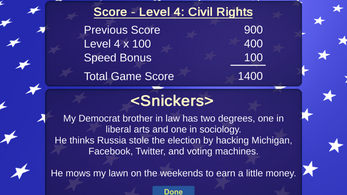 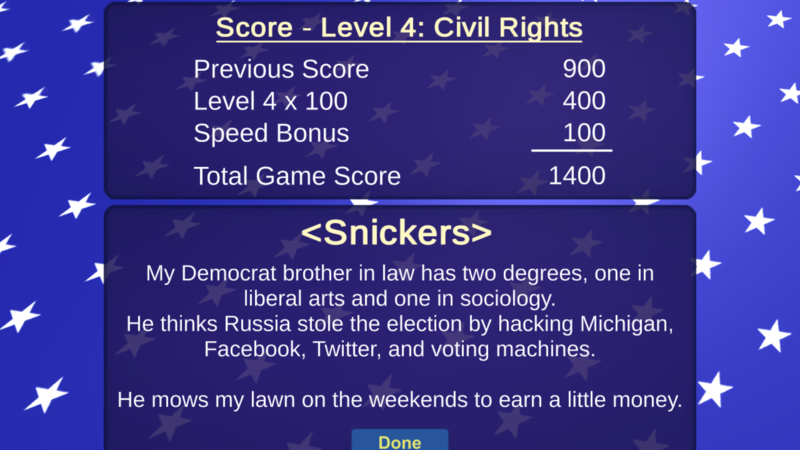 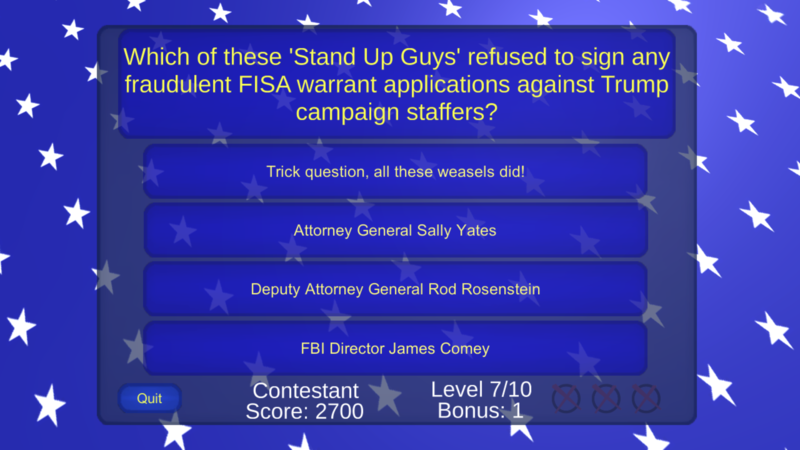 ConTrivia, the original Conservative Trivia game! 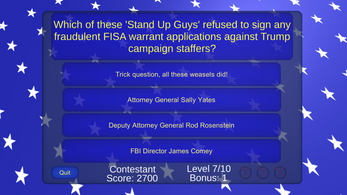 Hundreds of questions, jokes and laughs, with a decidedly Conservative twist! 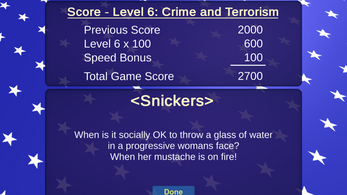 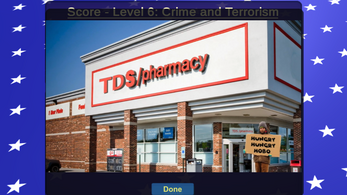 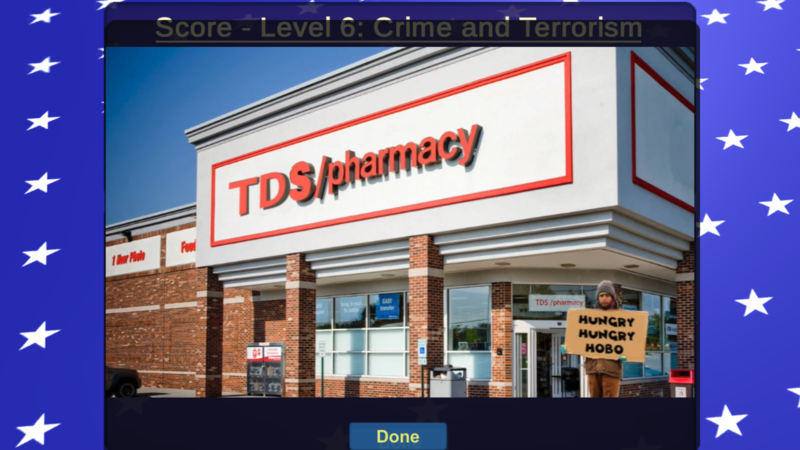 You've enjoyed our web videos, ads, and parodies, now see our original Trivia game! 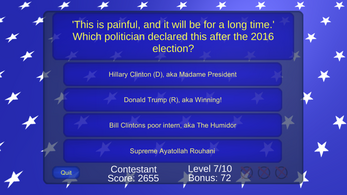 If you liked our parodies, you'll LOVE this game, and don't forget, you'll be supporting our spoof, parody, and lampooning efforts for just a tiny CONtribution! 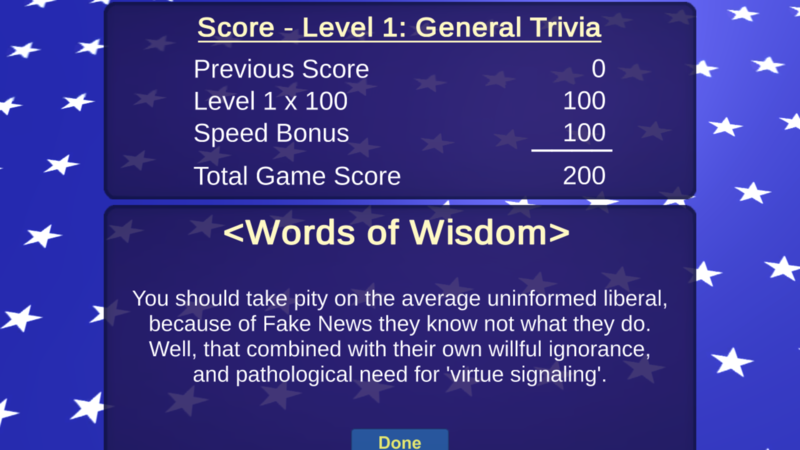 We thank you for your support!